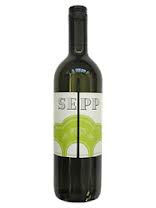 This Gruner has a nice gentle golden hue with aromas of tropical fruit, powdery vanilla and a touch of "grease." Palate-- A touch sour front impression with crisp acidity yielding a mix of tropical fruit, and tart Granny Smith apple with a candied note to itreminding me of bubble gum. There is a fresh hint of clean light wood with a lingering citrus note. Gruner Veltliner is the signature grape of Austria and offers a vibrant, acidic white that will pair well with buttery seafood which I will be trying tonight with fresh mussels in a garlic wine sauce. I paid $10 for this Austrian clean white and worthy of raising a glass!